The Presiding Officer of the Scottish Parliament, Tricia Marwick MSP has announced her intention to stand down as an MSP at the Scottish Parliament elections next year. Mrs Marwick was first elected in 1999 as part of the first intake of MSPs into the newly established Scottish Parliament. She was elected on the Mid Scotland and Fife regional list and was subsequently re-elected on the same list in 2003. In 2007 she won the Labour bastion of Central Fife from Christine May and helped to pave the way for a minority SNP Government. 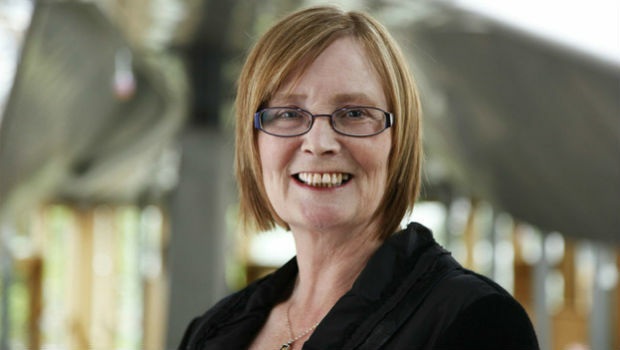 Mrs Marwick was re-elected with an increased majority in 2011, an election that saw the SNP gain a majority of the seats in the Scottish Parliament despite being in a system designed to stop that from happening. Following the 2011 election, Tricia Marwick was elected as Presiding Officer of the Scottish Parliament. She was the first woman to take on the role in the Scottish Parliament and some critics were sceptical about a Presiding Officer coming from the ruling party, despite the fact that Sir David Steele had come from the ruling Lib Dem/Labour coalition previously. Their fears were unfounded and Mrs Marwick became known as a reforming PO, who was fair with all parties and respected across the Parliament. As well as being Presiding Officer, Mrs Marwick has been the constituency MSP for Mid Fife and Glenrothes (formerly Central Fife) and has dedicated much of her energy to assisting constituents experiencing difficulties. Mrs Marwick added: “It is been the greatest privilege to represent the constituency I live in and where I have brought up my family. “I want to thank my constituents and friends for their unstinting support over the years. I am proud of what we have achieved together and that I have been able to help many thousands of people. They can be assured that I will continue to represent them and their interests for the next 11 months.